Why Does Consistency Matter in Parenting? Consistency is one of the most important and essential concepts when it comes to effective parenting. In terms of parenting, consistency may be tied to how you connect with your child emotionally or how your family operates with getting things done. On the emotional side, consistency means purposely choosing how you are going to engage with or respond to your child, and not varying with that choice over time. Choosing to consistently not yell and consistently calm yourself down before you respond to your child is one of the greatest gifts you can give your kid. Consistency in terms of structure and routine provides the limits and boundaries for children that help them to organize and integrate information into their brain and gain an understanding of how the world works. For children, the learning process involves internalizing, rehearsing, and repeating. Just like learning 2+2=4, kids need to internalize, rehearse and repeat behaviors. When parents are consistent in their reactions and consequences, children know what to expect. Your child will be able to predict how you will react to specific situations, such as when he or she throws food or when it is time for bed. This does not mean that your children won't push your buttons or try to see if your reaction changes, but, after time, your child will come to feel safe within the consistency. Children understand the world through consistency. When kids are able to predict how their morning will go, they feel more secure and in turn, make better choices. Inconsistency can be confusing for children. If one day mom yells about something a child does, but the next day she tolerates it, the child learns that adult responses are not predictable. This can cause several characteristics to develop in children, such as aggression and hostility, or complacency and passivity. As the child learns to deal with unpredictability, anxiety is produced. If children have to develop a large capacity to cope with anxiety at a young age, it can overwhelm their defenses, and cause them to solve problems with undesired or inappropriate behavior. Why Is Consistency Hard for Parents? Parenting is exhausting, frustrating and a lot of the time, we are just trying to get through the day. To many parents, expediency takes precedence over consistency. You may get very frustrated that your child won't clean her room, but after asking her multiple times, you get fed up and do it yourself. We are all human and will make mistakes, but making an effort to be consistent is essential to raising confident, secure children. Choosing expediency over consistency has an effect on your child’s behavior and character. Being consistent is time-consuming and requires thought and patience, but it is an investment in your child's development and will make your relationship stronger as your child grows. Consistency is important not only between parents, but ​between any caregiver in the child's life, including grandparents, babysitters, nannies, and teachers. All caregivers should use simple and concrete ideas. All of your child’s caregivers should be working together to help the child integrate information into their schema. To make this happen, it is essential that there is open communication between caregivers so everyone understands the message and is providing the same rules and ideas. For example, decide on some simple and concrete house rules and enforce them in a similar way to how rules are enforced in school. Make sure that your simple and concrete rules (for bedtime, morning routines, etc) are realistic, and that your expectations are realistic and age appropriate. Many children are better behaved in school because of the consistency and rules. In school, when there is a rule, everyone must adhere to it; there are no exceptions. The predictability helps children feel secure. In classrooms, there is a protocol that is followed whenever a child shows unkind or physical behavior toward a peer or breaks any items in the classroom. 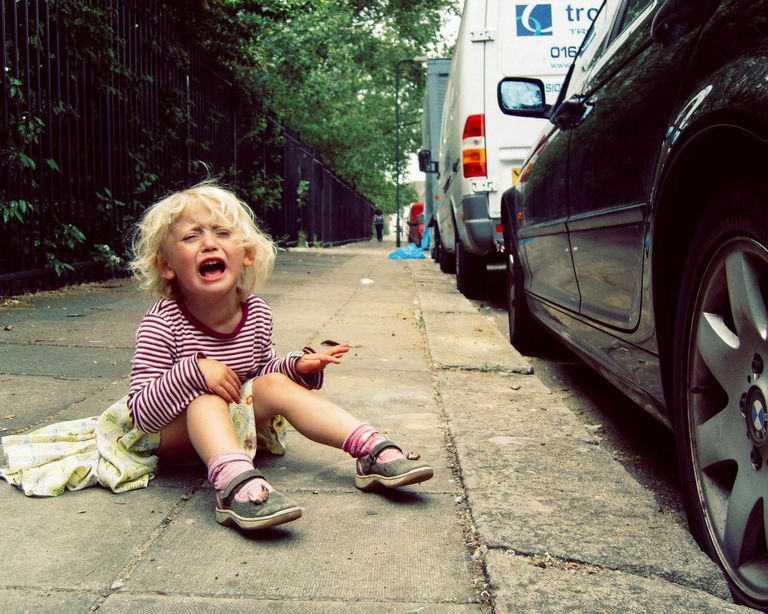 Difficult behavior is developmentally normal and age-appropriate for children of all ages. These behaviors are especially normal during the early years when a child is starting to integrate stimuli from their environment into their schema and develop a worldview. Children test limits in order to figure out their world. Kids need consistent consequences for undesirable behaviors. If you are trying to change an undesirable behavior, consistency is the way to do it. It may take a long time, but if you are consistent with your new rules and ideas, your children will integrate these ideas into their brain. Consistency is important in how you emotionally react when your child does something which you don't approve of, and also what reaction or consequence you use to combat the undesirable behavior. Consequences should fit the behavior, and your tone and demeanor should match the severity of the behavior. Time-outs and similar forms of “punishment” are unrelated to any behavior, as they are confusing and foster a sense of loneliness and disconnect with your child. If a child is acting out the behavior needs to be addressed with a logical and related consequence. An important component of child development is allowing kids to make choices and gain independence. When caregivers are not consistent about the amount of freedom and choices they give, it can be confusing to a child. If your child constantly engages in a power struggle with you but behaves well for his babysitters or teachers, one reason may be the lack of choices you provide. Giving kids choices helps them to feel empowered, and take ownership of their experiences. It is important to model this at home as well. Some examples of giving children choices include letting them choose their clothing, their lunch food, their nighttime books, and giving them household responsibilities. These responsibilities could include things like cleaning up the kitchen, helping with the groceries or the laundry, and opening and closing doors. These tasks give children autonomy and independence within a secure framework, which helps them to develop skills in a safe and secure way. One of the most important things you can do for yourself and your child is to know what your schedule is and understand the expectations for both you and your child during that time. It is your job to teach your children what your expectations are. As most parents know, a tough night or morning can throw a wrench into the whole day. Many people have bedtime routines that began when their children were very young. But those routines can get derailed very quickly by kids asking for water, a snack, to wash their own hair , or any other creative thing they can think of to make the nighttime continue. The same thing goes on in the mornings before school or daycare. In order to keep your routines going, make sure everyone in the family knows what is expected of them. Depending on your kids' ages, have them get themselves dressed or brush their teeth on their own. When kids know their responsibilities, they feel empowered and are more likely to respond positively to the task. Establish a routine and do your best to stick to it. If there is a major change to the routine, share it with your child so they can mentally prepare and not be anxious or surprised by the change. Most importantly, don't let your child hijack the routine. Being calm and consistent tells your child that you are a safe person to go to when life feels chaotic to them. Plans change, routines get interrupted and that is a part of life. The important thing is that you share those changes with your child in a clear, age-appropriate way. We unfairly expect kids to do as we say, but many times, we don't provide them enough information. We expect them to be flexible and respond easily to life changes but we rarely give them the time or tools to cope with such changes. Have a conversation with your child and allow them to ask related questions. Every child, family, and situation are different but if you begin with open communication you’ll continue to foster a relationship with your child based on trust. Consistent parenting takes time and energy, and no parent will be consistent all the time. It is also important to be able to be a flexible parent. Being both consistent and flexible are choices, and making those purposeful choices are what will help your child develop into a confident and secure adult.